I am trying to grow a couple of varieties of the larger Columbine flowers in my garden again. I have not had much luck in the past but hopefully I have found a good spot for them this year. I am trying a partially shady spot to protect them from our summer heat which they apparently do not like. I shall see how this goes. Fun facts: The genus is Aquilegia which comes from the Latin term for eagle of aguila because the shape of the flower head reminds of an eagle's claw. 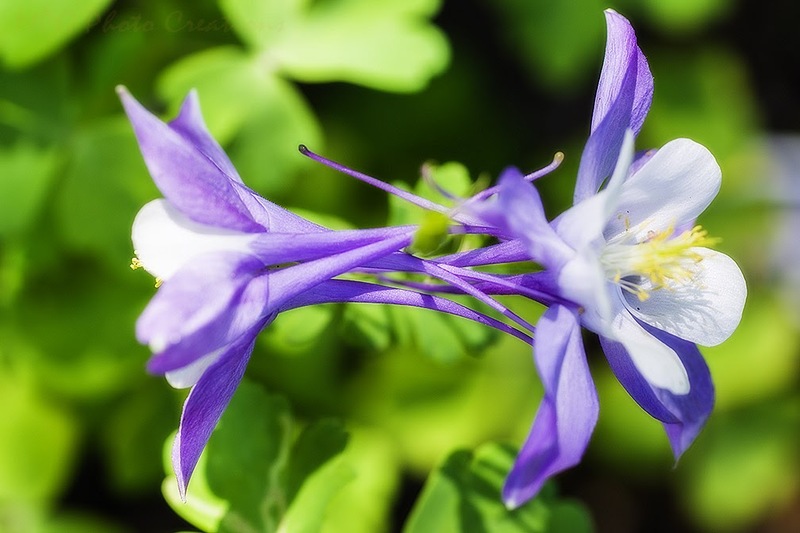 Columbine comes from the Latin term for dove because the inverted flower looks like 5 doves clustered together. It's a lovely plant and this version is the state flower of Colorado.